There is something about the longer sunny days that inspires people to get out and do a bit more exercise. And with spring just about to draw to a close, it’s that time of year when people start to get quite motivated to want to shift some weight for the summer. And for some it might not even be about weight loss, but just a need to feel a little more energised – perhaps you are sick of feeling a little flat from the winter? So where do you start? Well it begins with both exercise and nutrition. One of the first things many people do is to pick up the pace when it comes exercise to help them with weight loss. We know that burning calories through exercise is beneficial for losing weight. But what if you are losing muscle and not fat? Are you even burning fat? What if you are holding on to too much water? What underlying health conditions are stopping you from losing weight? Are you still overindulging in foods and drinks? Are you even losing weight? Do you know that your nutrition (what you eat and drink) will impact upon your ability to burn fat? It will also impact upon your ability to age healthily. Of course exercise if one of the key foundations to shifting weight (and feeling good etc) but nutrition works hand in hand with exercise. There is A LOT of information around nutrition these days. And quite confusing information, right? (heck even as a Nutritionist I am bamboozled by the stuff that’s out there!). Paleo, low carb, ketogenic, Mediterranean, plant based, no grains or include grains, gluten free or dairy free. There is so much to choose from where do you even start? To begin with it is not a one size fits all approach when it comes to nutrition, and often checking in with a Clinical Nutritionist who can go through your health history and your symptoms will help you get to the bottom of your key health concerns as well as help you reach your weight goals. But we also know from clinical experience and from research that sticking to a short term strict eating regime coupled with exercise can help shift a few kilos as well as help reboot your metabolism. In clinic we see that a lot of the time just by implementing a schedule of some sorts telling you what to eat and when to eat can be a great starting point of a journey to nutritious eating. From our experience and what we know works well for the majority of people, here some of the top tips we suggest to help get you out of your winter funk and get you motivated for the summer months. okay yes call it low carb, high fat, ketogenic or whatever, at the end of the day it’s about making sure you get rid of the processed carbohydrates which tend to be higher in sugar and other ingredients which are not healthy for our body. Eating a diet that is high in processed foods is not only associated with a larger waist line, but also with metabolic and cardiovascular disease (diabetes, high cholesterol and heart disease) as well as other inflammatory conditions such as bowel disease, arthritis, thyroid issues and depression or anxiety. Eating a wide variety of brightly coloured vegetables gives you important micronutrients, antioxidants as well as fibre needed for overall good health and a healthy digestive system. Increasing your healthy dietary fats helps you to feel fuller for longer, but actually helps to burn stored fat. Not only that but we need good fat for the health of our cells. All of this will give a solid foundation for producing energy, healthy ageing and of course shifting weight. 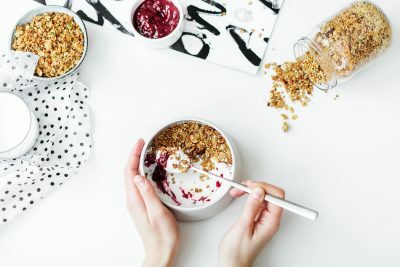 It’s important to get the balance right of how much fat, protein and carbs you should be eating to reach your goals and that’s something that Clinical Nutritionists will be able to work out for you. Fasting is something that we get asked a lot about at Mint. It seems a bit daunting huh! But really its not that hard. IF or Intermittent Fasting is something we do to a certain extent anyways when we are asleep throughout the night. IF is essentially stretching out the time we don’t eat and there is a lot of research to show the positive health benefits IF has for the body. Not only can IF help with shifting weight, but it also is beneficial for healthy ageing as it promotes cellular repair, supports healthy gene expression and helps reduce oxidative stress and inflammation in the body. In particular for those who have metabolic disorders such as pre diabetes or diabetes, research is showing a growing number of positive research outcomes around the benefits of IF for lowering the risk of type 2 diabetes. PLUS! The amount of evidence showing the benefits for brain health is very exciting, as IF has been shown to be neuroprotective, helps to support nerve function and structure and so is particularly beneficial for neuro conditions such as Parkinson’s disease, Alzheimer’s disease and brain damage due to stroke. Its that time of year with the longer days that the socialising calendar starts to get quite full! But just remember that alcohol has a wide range of effects in the body do impact upon the ability for you to lose weight. It also impacts upon brain health and causes cellular and oxidative damage. 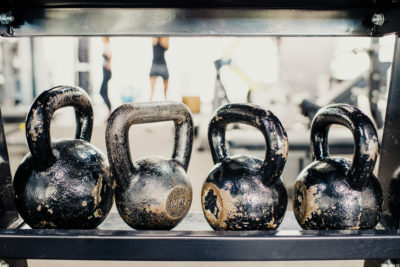 If you are feeling like now is a really good time to implement some of these ideas to help you feel great for the summer then Mint Gym and Nutrition can help you out! Contact us now!